Sprint your way to better fitness. 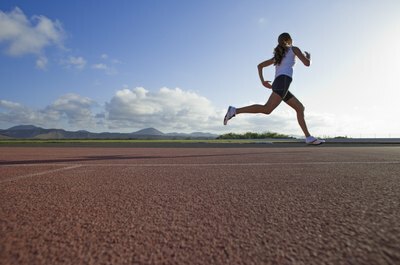 Sprinting is one of the best ways to improve your cardiovascular health and get a rockin' body at the same time. The workouts are fast and rewarding. Even better, sprinting doesn't require any fancy equipment -- all you need is some open space and a pair of good running shoes. Beginners should start out slow and gradually build to a high-powered sprint workout. 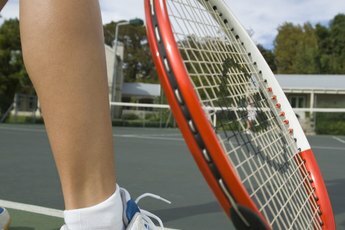 Before you know it, you'll be lacing up your shoes and taking off toward better fitness. Sprinting burns more calories than traditional cardio. 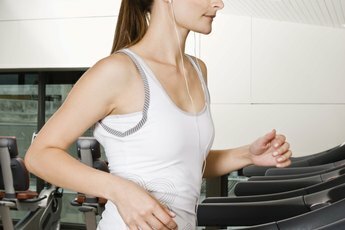 Writing for Bodybuilding.com, registered dietitian and exercise physiologist Chris Mohr, says that, while it's true that a low-intensity workout burns a greater percentage of calories from fat, the overall number of calories you burn is fairly low. When working at a higher intensity, the percentage of fat calories burned is lower but the total amount of calories expended is much higher. It's like making the choice between pocketing 50 percent of $1 -- 50 cents -- or 10 percent of $100 -- $10. And, after a workout, your metabolism is elevated for days, which promotes even more weight loss -- cha ching! Before sprinting, get nice and warm by going for a light jog and then stretching your legs, especially your hamstrings. Next, mark a distance of 100 meters and then run from one end to the other. If you are a beginner, start at a 50 percent effort and then run faster on the following sprints. After you run, walk 100 meters back to the starting line. If you're still huffing and puffing when you get back to the line, wait one or two minutes before you go again. After you do six to 10 sprints, jog a cool down lap and then finish with some stretching, says Bodybuilding.com. Perform this workout two or three times per week for excellent results. Sprinting is a tough workout, but you can do it practically anywhere. Any park or track will do the trick. If you're in a bind, you can even sprint on a sidewalk or in a parking lot. 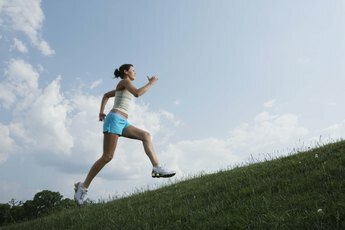 For safety, do your sprints during the day, or pick a location that has plenty of light. One trip could end your sprinting days for a while. Be careful when starting a sprinting workout. Bring water or a sports drink to hydrate and stop running if anything starts to hurt or if you get injured. When running on a grass field, check for any holes or uneven sections so you don't twist your ankle. Check for traffic and any other dangers if you run anywhere near the street. It's probably not a good idea to have those ear buds in while running on or near roadways. Bodybuilding.com: Sprint Training Builds Legs, Glutes, Abs, And Burns Fat... Fast! Bodybuilding.com: Burn More Fat By Sprinting!